Product prices and availability are accurate as of 2019-04-08 17:13:59 EDT and are subject to change. Any price and availability information displayed on http://www.amazon.com/ at the time of purchase will apply to the purchase of this product. Illuminate your indoor garden or hydroponics plants with our non-flickering full-spectrum Red and Warm white Light premium technology LED grow light which can offer your flower and vegetable the needed wavelengths for optimal healthy growth. 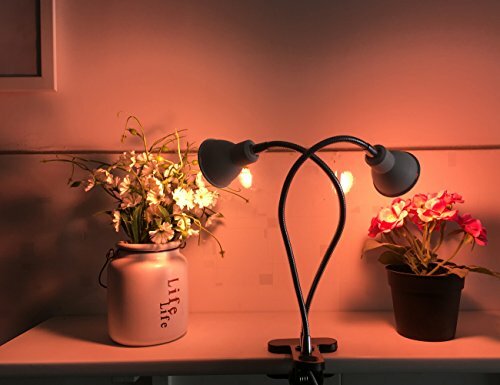 This LED Grow Light Desk Lamp, with full spectrum layout is designed to offer a deluxe modern feel to your home with stress free lighting capabilities, upgraded aluminum cooling heat sinks perfect for all kinds of plants, vegetable & flowers at all growth stages. You have the best cultivation yield. It is a Premium super Led light technology designed to start the seedling, boost plant and vegetable growth for any type of indoor hydroponic garden and also ideal for greenhouses, grow tents, and hydroponic systems. ● Spectrum of Light: Warm White Light 2700K(offers Blue+Green/Yellow+Red wavalength) and Red, The mixed lights appears a very warm light that feels comfortable. If any problem regarding delivery or quality, please contact us firstly, and we will do our best to meet your service expectation. Full Spectrum - White Light LED + Red Light LED, not the LED grow light that commonly combines Red+Blue(looks purple,or pink) - Benefits (1)Comparied to Red/Blue mode, it'is far more effective to plants. 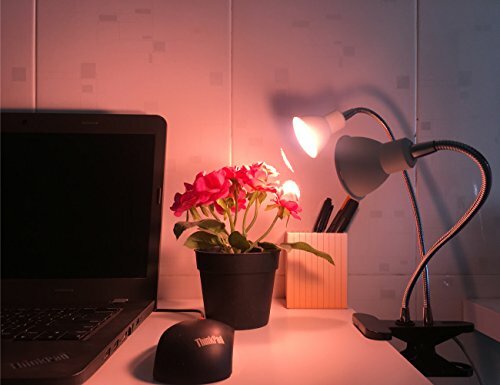 White Light LEDs crush purple(R/B) Lights - studies show that green&yellow is used by plants; (2) The Warmwhite light looks warm and comfortable! Best for your indoor (room or office)applications. 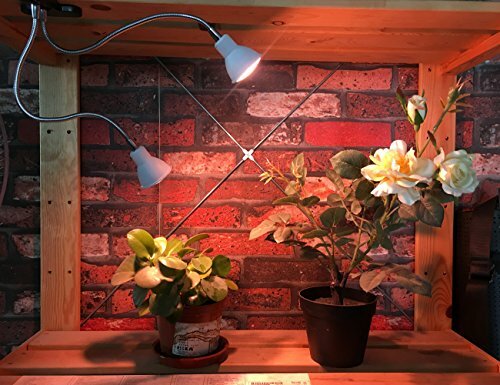 Soft and Uniform Lights - The Diffused Cover helps to mix the LED lights fairly well-distributed for the plants, to avoid the Red/Blue lighting spot that might mislead the growing of plants. 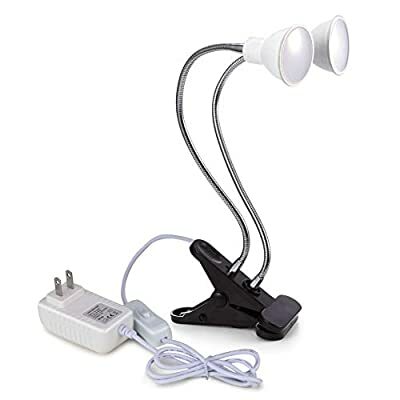 MULTIPURPOSE USE - You Can use this light for more than just a grow light! Our light can be used as a desk lamp, for bedroom or office. 【Easy to Use】 1. Gooseneck Swivel, two heads achieve 360-degree coverage of plants; 2. 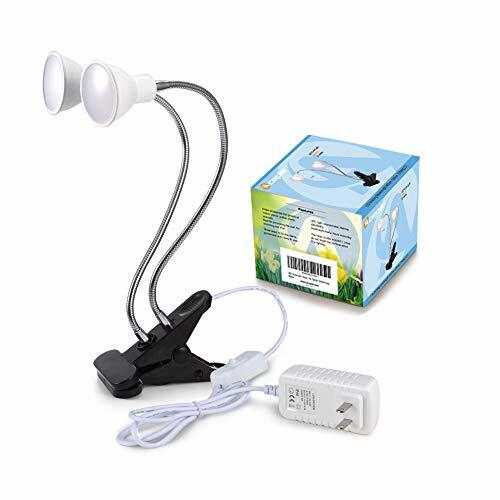 One switch only, controls the lamp heads in a time and you needn't to plug in/out the socket frequently; 3.ENERGY SAVING grow lamp - Saves money on electricity bills and reduce your energy consumption. 【Where to Use】 SUITABLE for balconies, greenhouses, darkroom, office and so on. For indoor plants Everywhere you want to - clip it or just put it on top of a desk. ✔"Aceple" WARRANTY: Will respond within 24 hours, 30-day money back or replacement warranty, and lifetime support guarantee. Please confirm whether the product is belong to "Aceple" brand when buying. 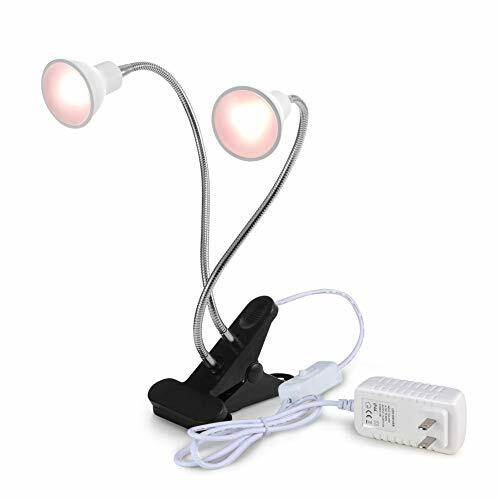 Purchase Your Aceple Dual LED Plant Lights to Have Your Plants Thankful.